Have you noticed that it's soooo hard to talk to your friends who aren't in grad school about grad school? Wouldn't it be nice to have a place to get your questions answered without bothering your advisor or another faculty member? Don't you want to learn from someone who's be there and done that and landed her dream job in academia? My name is Toyin and I survived getting my Ph.D. in Mathematics and landing a job in academia, without getting a Postdoc first (because teaching is my passion). And I want the same success for you! I started The Academic Society in 2017 to help Ph.D. students improve their teaching skills to get good teaching evaluations and build amazing application packages to land on-campus interviews! 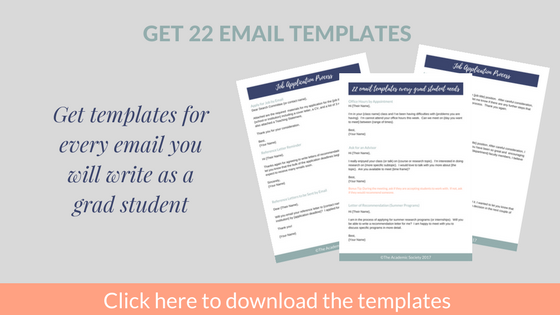 Sign up below to join The Academic Society and 22 FREE email templates straight to your inbox!